Subsea power cables are steadily becoming longer and being laid at more depths. Such a cable between Iceland and Europe will probably be close to 1,200 km in length and the greatest depth at the cable-route will be close to 1,000 m. In the Mediterranean subsea power cables have been laid at more than 1,600 m depth. Presently, the longest cable of this kind is close to 600 km and we will soon see cables extending 700-800 km, such as between Norway and Britain. 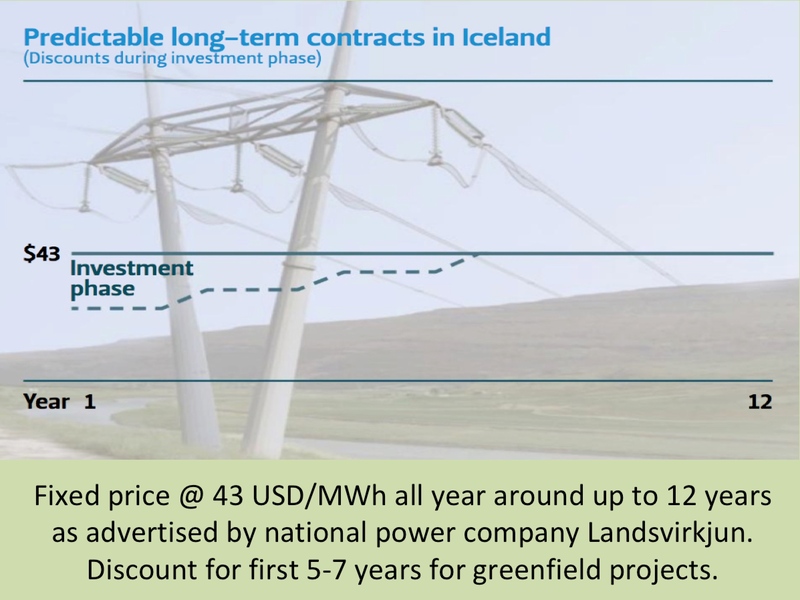 The first High Voltage Direct Current (HVDC) interconnector between Iceland and Europe might become a reality within a decade. Strong and important drivers, like access to more renewable power and increased energy security, are likely to speed up the process of such a project. When looking further ahead, Europe and Northern America may become connected with power cables via Greenland and Iceland. 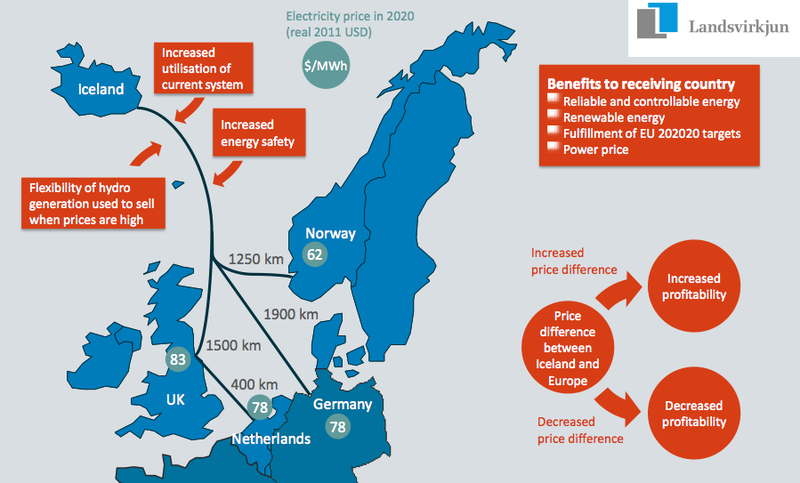 Within a relatively short timeframe, cables between Europe and Iceland, Iceland and Greenland, and Greenland and Canada, may all becoming technically possible options for connecting power markets. This development will open access to new and important sources of renewable energy, especially highly flexible and controllable hydropower. Here at the Global Icelandic Energy Portal we present excellent information about the technology and economics of such cables under the category of subsea interconnectors.